In order to have a successful move to or from Oak Park, IL, you need the assistance of a professional moving company with innovative relocation services. At Pickens-Kane, our Oak Park movers are dedicated to providing superior customer service, and we offer a wide range of specialized, customizable moving solutions to fit the unique needs of our residential and commercial customers. As an agent of Allied Van Lines, we have access to a worldwide network of moving and storage professional to ensure a seamless, hassle-free relocation anywhere in the world. 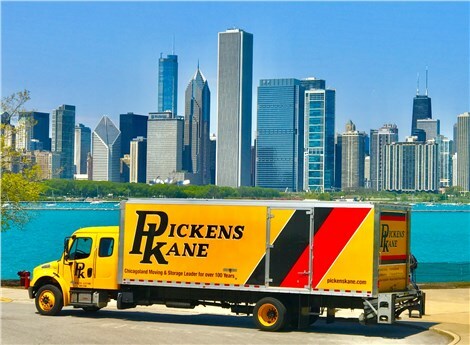 For a premier Oak Park local moving experience, the team at Pickens-Kane strives to provide affordable and secure relocations for residents and businesses—whether you’re moving around the block or across town. From office moving to residential moving of any size or scope, you can count on our experienced moving company to exceed your expectations. Regardless of the size of your residence, we’ll work with you to determine the best services to meet your Oak Park residential moving requirements, and provide you with a competitive, guaranteed price that fits your budget. Our experienced packers and drivers will then execute your relocation with precision and ease—while staying on schedule and within budget. Oak Park apartment moving is a challenging experience—and one that is best left to the professionals at Pickens-Kane! Our apartment movers are experienced in navigating narrow hallways and tight stairwells, and they take extra precautions to ensure that your belongings are packed and moved securely to prevent damage to your apartment and your items. 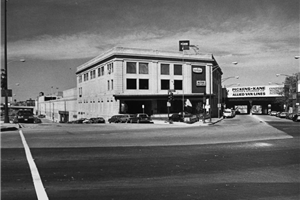 At Pickens-Kane, we are proud to offer state-of-the-art storage solutions for Oak Park residents and businesses. Whether you want to free up space in your home or need to store office furniture during a remodel, we have moving and storage options to suit any unique request. With more than one million square feet of storage space in our climate-controlled warehouse, we’ll safely and securely store your items for any length of time. Since 1914, our Chicago moving company has been providing Oak Park moving and storage solutions to residents and business in the region, and you can count on Pickens-Kane for a stress-free relocation anywhere in the world! Give us a call today to learn more about our services, or complete our simple online quote form now to request an estimate.